Angela Kay Peters-Winchester was born May 12, 1977 in Chandler to Gary and Jackie (Beller) Peters. 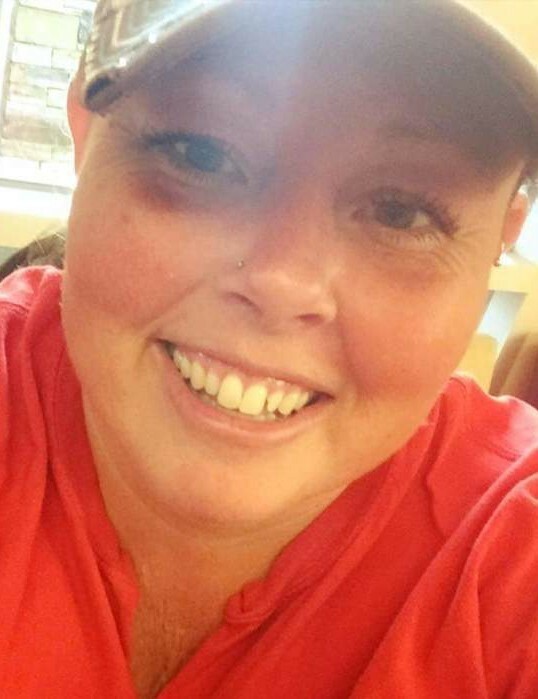 She passed away in an auto accident September 23, 2018 at the age of 41. Angela grew up in Luther where she graduated high school with the class of 1995. She was passionate about her family, cosmetology, softball and all types of music including singing. Angela owned and operated Country Kutz in Luther. She was a giving person who always left those around her with a smile as her smile lit up a room. She had an outgoing personality and could talk to anyone, sometimes for hours. She was a selfless person who had a strong faith in God. Angela was preceded in death by her father, Gary Peters; grandparents, Otis and Annie Lorene Peters. Survivors include her children, Anna Eva Marie Winchester, Timothy Allen Peters; husband, Jason Winchester of Prague; mother, Jackie Peters of Luther; siblings, Brandy Dawn West of Arcadia, Jesse Peters and wife Meagan of Wellston, Julie Worthy and husband Bill of Luther; other family and friends who will miss her dearly. A funeral service will be held at 2:00 p.m. on Friday, October 5, 2018 in the Lehman Funeral Home Chapel with interment to follow in the Luther Cemetery. Funeral arrangements are under the direction of Lehman Funeral Home of Wellston.